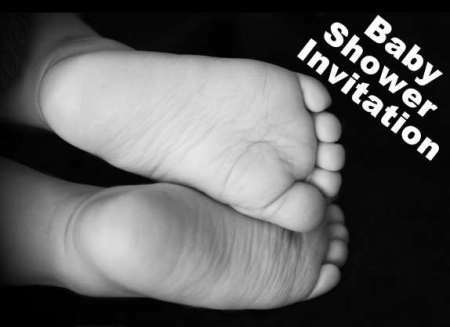 Looking for some unique baby shower invitations? 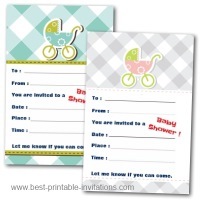 The free printable baby shower invitation cards on this page are the perfect way to invite your guests. There are two designs on this page. Choose from baby feet, or an 'old master' painting of visitors to a new Mum. Both very different and unusual invites. Print onto good quality paper for a luxurious feel. A baby shower from ages past. This would suit a new Mum who has a love of master paintings or classical books. It is very unusual and makes a unique invite. Prints one per page then folds up to make a card. Unique Old Masters Baby Shower Invites. Aren't baby feet adorable? 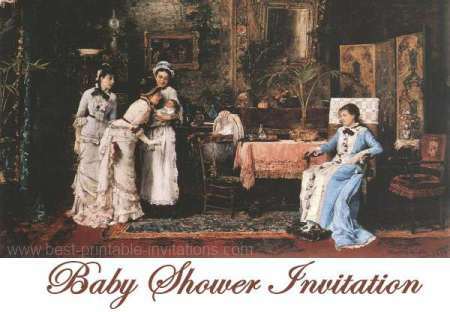 The photo in this invite makes a modern designed invite - perfect for a range of different types of shower. Each invitation prints onto a single page then folds up to make a card. Use good quality paper - but not too thick or it makes it difficult to fold cleanly. Baby showers are a wonderful way to support a new Mum, and welcome a new baby into the family. Choose an invite that supports the type of event you would like to hold. Is it an informal family gathering? Or a large formal event to introduce the baby to friends and acquaintances? Make sure you include everything the guest will need to know. Will it be a pot luck meal - or should they dress for dinner? Include directions and maps - and a gift list if appropriate. 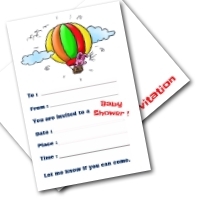 Want to make your invite a little bit special? Using colored paper and envelopes can add a unique element.